Amazon’s auction for a second headquarters is now over. The company received bids from 238 cities and chose two locations–Northern Virginia and New York City—each to receive “HQ2/2,” along with announcing another, smaller facility in Nashville. Montgomery County has the former advantage, but not the latter. The Baltimore area, which didn’t make the final cut for consideration, has both—but it lacks other features that the company wanted, including an effective mass transit system. Eric Stokan is an assistant professor of Political Science at UMBC and Roy Meyers is professor of Political Science and Public Policy at UMBC. As the professor noted, it is right next to Reagan National Airport and it has two Metro lines. 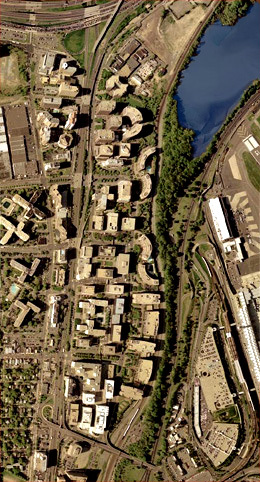 The Yellow Line has a quick and direct link to downtown D.C. which is just four miles away, not 12 miles from the urban core with a single troubled Red Line, as in the White Flint area.A quick Google search of Crystal City shows some of the obvious advantages it had over Maryland’s proposal to Amazon.